If you are still using FMEA as your methodology to capture medical device risk management activities, then your risk management process is out of date. And you might be asking why do you need to abandon FMEA as the risk management tool of choice? Here is the definition of “risk management” as defined in ISO 14971. Risk Management – systematic application of management policies, procedures, and practices to the tasks of analyzing, evaluating, controlling, and monitoring risk. And to be fair, I’ll also share with you a definition / description of FMEA from ASQ. Risk Management needs to be systematic. Risk Management considers use of a medical device–correct and incorrect use. 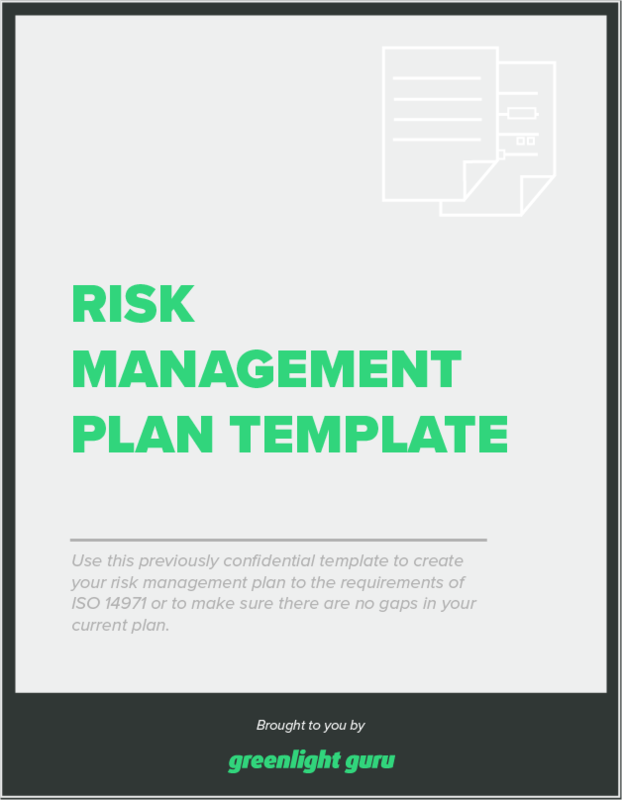 Bonus Resource: Click here to download your free PDF of Risk Management Plan Template. The basis of Risk Management is built on identifying hazards (potential source of harm) and hazardous situations (circumstance in which people, property, or the environment are exposed to one or more hazard(s)). Once identified, severity of potential harms resulting from hazards and hazardous situations are estimated. The probability of occurrence of these harms is also estimated. And the estimation of severity of harm and probability of occurrence of harm is what defines RISK. FMEA is slightly different in its scope and purpose. The basis of FMEA is identifying failure modes. Right off the bat, the FMEA tool is only about failure. Medical device risks are NOT solely a function of failure. A medical device might never exhibit a failure mode yet still has risks. FMEA is a very good tool and can be extremely helpful for design and development teams while evaluating materials, components, and sub-assemblies comprising medical devices. But FMEA is more of a reliability tool rather than a risk management system. ISO 14971 Risk Management uses terms such as risk, hazards, hazardous situations, harm, severity, probability of occurrence, risk acceptability, and risk controls. FMEA uses terms such as failure modes, effects of failure, severity, causes of failure, occurrence, process controls, detectability, risk priority number, and recommended actions. It’s pretty clear just by reviewing the terminology between ISO 14971 and FMEA how this can be confusing. Hazards and hazardous situations does sound similar to failure modes. Harm seems similar to effects of failure. Risk seems similar to risk priority number. Certainly, the terminology creates a great deal of confusion. The terminology of FMEA seems close enough to Risk Management. Yeah, I get it. Everyone on the product development team is familiar with and somewhat comfortable using FMEAs. You have been using FMEA long before ISO 14971 become a harmonized standard. And the intent and terminology is close enough . . . 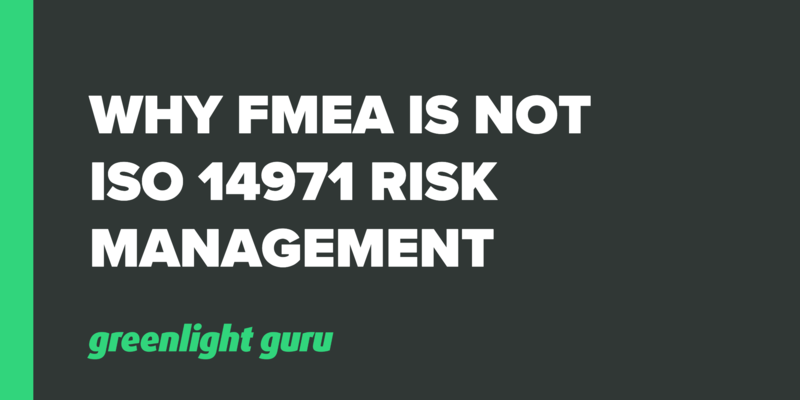 Doing only FMEA will mean that you will NOT comply with ISO 14971 Risk Management standard. It’s very clear from medical device regulatory bodies throughout the world that sound risk management processes are paramount for medical device companies. Regulatory agencies expect medical device companies to document Risk Management activities. And since ISO 14971 exists and is broadly accepted in the med device regulatory world, I highly recommend using this standard as your framework. 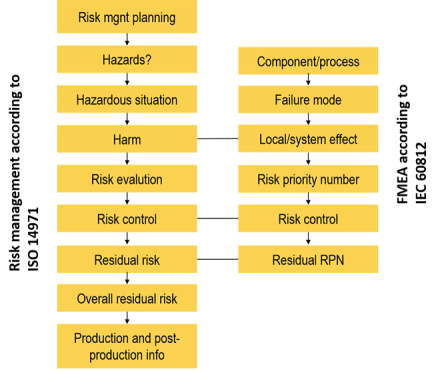 As noted, ISO 14971 describes an entire system approach for Risk Management. As you can see, ISO 14971 describes an entire system. And this system is a process intended to be applied throughout the entire lifecycle of a medical device. Help ensure that medical devices are as safe as possible. Regulatory bodies aside, please, please, PLEASE make sure that your Risk Management process is established and implemented in such a way so that it is actually useful.